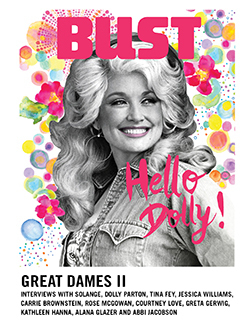 In every issue of BUST Magazine, we bring you reviews of the latest and greatest albums on our radar. Check out the most recent releases from our October/November 2017 issue right here, featuring new music from the Blow, Kim Boekbinder, Cold Specks, and more. We also made you a Spotify playlist where you can listen to all these tunes, which you can find below. Khaela Maricich and Melissa Dyne have been dishing out electro bedroom-pop since 2001 (aka before everyone was doing it) as the Blow. Modular synths and classic samplers still abound, but Brand New Abyss, their seventh full-length album, trades in funkier grooves for a streamlined confessional approach. Eagles cover “Peaceful Easy Feeling” opens the album with a quirky, playful synth line that feels closer to “Under the Sea” than to classic rock, with Maricich’s hushed vocals passing along lyrics in subtle dissonance with the title. From there, the next few heartbreak-filled tracks offer atmospheric riffs that are clean and encapsulating, though the raw minimalism occasionally wanders into a dead end.